From humble beginnings, DreamWalk has grown from two brothers working out of their bedrooms in 2009 to one of the longest standing and most trusted app developers in Melbourne and indeed Australia. DreamWalk’s commitment to an ethical and transparent app development process makes us unique among our competitors. Our approach, coupled with a strong focus on user engagement, unparalleled industry knowledge and extensive experience, have lead to collaborations with some of Australia’s best known companies and most ambitious start-ups. 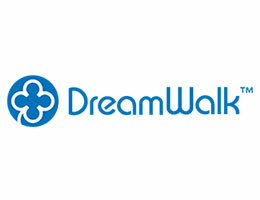 DreamWalk was acquired by multinational advertising company Wellcom Group (WLL) in 2012 and was bought back by the Russell brothers in 2014.